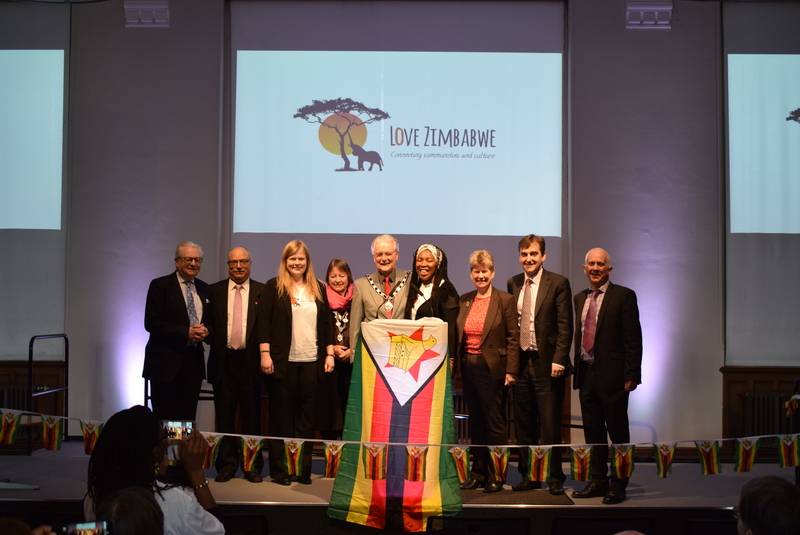 A.M. SUPPORT SUCCESS FOR LOVE ZIMBABWE STUDENT EVENT AT SENEDD. as well as ‘Friends of Love Zimbabwe’. Wales Primary School, conducted by music teacher, Simon Oram. Abergavenny Food Festival and the Wales Fair Trade Fair. poverty and the importance of cultural understanding. Martha thanked those who had been supportive of the charity over the years, both locally and from further abroad. She explained how the idea for the event had started at the wedding of Nick and Jennifer Ramsay, when Martha spoke to Lord Dafyd Elis Thomas AM, who promised to help her raise the profile of the charity amongst the members of the Welsh Assembly. be part of Wales and delighted that Love Zimbabwe was ‘Made in Monmouthshire’. Senedd organised by the Government’s Wales for Africa gold star programme. Turner Undergraduate Memorial Scholarship. She also said how pleased she was to have been asked to become a trustee for the charity. Zimbabwe which features Martha and the Zim Voices. A very tasty African buffet was then served and people had the opportunity to network with each other.